In an interim reprieve to government, Supreme Court refused to stay the electoral bond scheme but directed parties to furnish details of their electoral bonds to the Election Commission (EC) in sealed covers. On Thursday, Attorney-General KK Venugopal had questioned the need for voters to know source of political funds. Venugopal also cited right to privacy and fear of victimisation to justify anonymity for donors. The specious nature of Venugopal’s arguments ought to be embarrassing for the government itself. The opacity of electoral bonds can allow crony capital as well as foreign interests to influence policymaking while staying hidden from public view. Amendments in Companies Act scrapped the ceiling that restricted companies to donating up to 7.5% of average profit over past three years and without requiring disclosure to shareholders. A Foreign Contribution Regulation Act amendment allows foreign companies registered in India to indirectly purchase electoral bonds. These provisions thus open doors for shell companies and adversary nations in Delhi and even state capitals. Amendments in the Income Tax Act and Representation of People Act preclude companies and parties from disclosing electoral bond donations to I-T department and EC respectively. The multiple layers of concealment are nothing short of a scandal. SC must commence the detailed hearings without delay: the petition was pending since February 2018. The loophole allowing political parties cash and anonymous donations must be plugged if the war on black money is sincere. Failure of opposition parties to join CPM in approaching SC is strange and shows up the bankruptcy of India’s political class. Perhaps they are tempted by the thought of having friends with benefits when they come to power too. SC must act urgently to protect Indian democracy and even Indian sovereignty. At just age 29 she has made a big place for herself in history. Katherine Bouman’s expertise is in computer algorithms, and she created one that has helped give humankind its first image of a black hole. A century ago Einstein’s theory of general relativity offered the idea that when enough matter was crammed into one place the force of gravity would be so overpowering that it would swallow everything including space, time, light. The prospect seems to have spooked him into doubling down against the possibility of its existence. Years later when the phenomenon actually got the name black hole, it is said to have been ‘inspired’ by the eponymous Calcutta prison which, allegedly, prisoners never left alive. Today we have an image of this spooky phenomenon – couldn’t a black hole swallow up our universe someday? – thanks to intrepid scientists like Bouman from across the world, who collaborated to convert telescope observations of an enormous galaxy 55 million light years away where the black hole casts a shadow as big as our solar system, into a magical image, that is being variously characterised as Eye of Sauron, Bagel Galactica and Golden Doughnut. How far we have come and how far we have to go. In more neurosexist times women’s smaller brains were seen as proof of their inferior intellect. Even today there are social barriers to women’s progress in STEM fields. Exemplars like Bouman make the strongest case for uprooting these barriers. 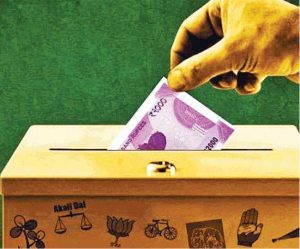 The Supreme Court has taken a baby step forward in bringing transparency to India’s sordidly opaque system of political funding by asking political parties to provide the Election Commission with details of the funds received as electoral bonds and their donors. However, this interim order on a petition challenging the validity of electoral bonds falls short on multiple counts. For one, it undoes a design for anonymous political contribution enacted by the legislature without first finding the scheme to be ultra vires of the Constitution. For another, it falls short of appreciating the enormity of under-declaration of actual receipts and expenditure by political parties, and, instead, focuses attention on that farcically small fraction of the income that is accounted for. The reality is that political parties in India spend tens of thousands of crore rupees on running their organisations and electoral campaigns. Staff expenditure, costs of surveys and maintaining cyber units to infuse social media with the right messaging, the expenditure on mass rallies, political leaders’ travel by chartered planes for months on end, publicity material, advertisements, posters, motorcades, public address systems hired by the thousands, flags and bunting, food for volunteers — politics calls for lots of money. But a few hundred crore is what political parties choose to acknowledge as their collection and expenditure. If a part of that declared collection is by way of electoral bonds, focusing on their opacity only serves to divert attention away from the huge gap between actual expenditure and declared income. The Election Commission ought to deploy modern techniques of big-data analytics, capturing structured as well as unstructured data on political campaigns on the ground to estimate actual expenditure. Each party should declare its expenses every month at every locality, and that amount should be subjected to challenge by other parties, the media and watchdog bodies. The commission should moderate the contest, arrive at a reasoned figure for expenditure, and ask each party to show their source of income to finance that expenditure. यह मानने के अच्छे-भले कारण हैं कि ऐसा नहीं हुआ और चुनावी बॉण्ड की व्यवस्था कुल मिलाकर अपारदर्शी ही है। इसका कारण यह है कि राजनीतिक दल यह बताने के लिए बाध्य नहीं कि उन्हें किसने चुनावी बॉण्ड दिया? 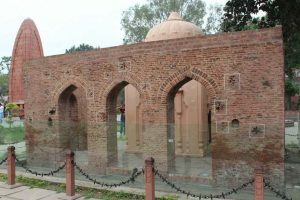 निर्वाचन आयोग और साथ ही चुनाव प्रक्रिया साफ-सुथरी बनाने के लिए सक्रिय संगठन यह चाह रहे हैं कि चुनावी बॉण्ड खरीदने वाले का नाम उजागर किया जाए, ताकि यह पता चल सके कि कहीं किसी ने किसी फायदे के एवज में तो चुनावी बॉण्ड के जरिए चंदा नहीं दिया? नि:संदेह चुनावी बॉण्ड के जरिए चंदा देने वालों की गोपनीयता बनाए रखने के पक्ष में यह एक तर्क तो है कि उन्हें वे राजनीतिक दल परेशान कर सकते हैं, जिन्हें चंदा नहीं मिला, लेकिन यह आशंका दूर की जानी भी जरूरी है कि कहीं किसी लाभ-लोभ के फेर में तो चुनावी चंदा नहीं दिया जा रहा ?